You never want to be without heat on a cold day. Give our professional HVAC technicians a call to get the problem solved as quickly as possible. A problem with your air conditioner could be as simple as changing out your filters. Call our experts to figure out what is going on and how we can repair it. Keep your home is comfortable and energy efficient with our residential HVAC services. We provide repairs, maintenance, and more. Our team specializes in commercial HVAC work. If you need your heating or rooftop HVAC unit serviced, contact us today! Our Technicians Can Come Out And Do Your HVAC Service For You. Choosing the right company to take care of all your air conditioning and heating problems may seem like a difficult task, but when you need real quality and dependability that you can count on, West-O-Plex Air Conditioning and Heating is here for you. We are a family owned and operated company and have been servicing the metroplex since 1987 and have continued to grow every single year. We have a team of experienced technicians that are here to help you in any way that they can. All of our techs are fully licensed and insured so that your safety and theirs is never something you will need to worry about. When we come to your home for a service, we will always be on time and make sure that no mess is left behind when we are done. We are authorized dealers for brands like Lennox, Trane, Concord, and Armstrong, but we can service any brand that you have and have truly seen them all. Your satisfaction is always what we strive for. If you are not happy or something is not right with a job we have done, we will come right back and get it taken care of immediately. When you need us, we will be there, whether it is day or night, we are always available to answer your questions and make sure that you are taken care of. We can get you on a maintenance plan that will allow you to never have to worry about your HVAC maintenance again because we will come to your home twice a year and do it for you. Spring and fall are the perfect times to get your home ready for the hot and cold months ahead. These types of services include making sure your system is cleaned properly, replacing your filters, making sure everything is working correctly, and answering any questions you may have. While we are there, it gives you a good opportunity to ask us any questions or get quotes on any other repairs that you may need. Some people may not know what size filters they need or how to set their thermostat to make it turn on and off at a scheduled time. Our technicians are always happy to help you in any way that we can and answer any questions for you. When you need help with your HVAC in Fort Worth, TX, make sure you call us right away at 817-244-2511. Have you started to notice that your home will heat or cool quicker in one room than in another? When you turn your air or heat on, the air travels through ducts that take it to each room. The dampers inside the ducts help navigate and control where the airflow is going. If there are issues with the dampers not being balanced correctly or any longer, it can cause one room to get hotter or colder much faster or slower. When there is no maintenance being done on your HVAC system, it will start to show signs of wear and tear much sooner than it should. You should consider investing in one of our maintenance packages so that you never have to worry about having to find someone to come check out your A/C or Heating system, you will already have someone ready to go. Routine maintenance is a crucial part of the proper running of your system. It will save you money on your energy bill, keep your equipment lasting longer, and keep you from having to have repairs done on your system. Bad filters are something that so many people look past and never think about changing. You are supposed to change your filters every 3 months and even more often if you have several pets in the home. We suggest purchasing a large number of filters at a time, that way there is no inconvenience, you just set a reminder every 3 months and then just have to grab your filters easily. These filters are what stop dirt, hair, and other allergens from coming through your ducts and then flying into the air of your home. Your system has to have filters or it will not work the way it is supposed to and your energy bill will be through the roof. Your thermostat is a key component to the working of your HVAC system. If you do not have a properly working thermostat, you will find that your A/C will not turn on or will keep running all day long. Before you call a technician out, check your thermostat and make sure that the batteries are not dead and that your settings are turned on. Always Change Your Filters Every 3 Months. We are your experts for local air conditioning repair and installation. When you need a repair done, you can count on us to get the job done quickly and efficiently. Most of the time, the problem is a quick fix and can be taken care of the same day. We will always be upfront with you about your A/C and if there is a repair, we will always try to fix it before we recommend a new system. 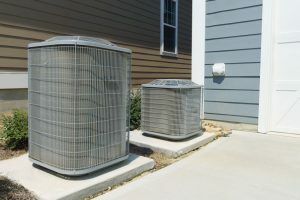 We understand that A/C problems are frustrating and can be expensive so we try our best to always give you great prices and keep your A/C running as efficiently as possible for as long as possible. Give us a call at 817-244-2511, as soon as you discover a problem and we will be available for you as fast as we can. Keep The Area Around Your Burner, Clean. When your furnace stops working properly, it can leave you in a cold house until it is fixed. We don’t think it is ever okay for you to be uncomfortable in your own home so we will get out to you as quickly as possible. Whether you have a heat pump or need heating maintenance done, we have the tools and expertise to be able to do it for you. Issues like making sure the burner is working correctly and that the area around the flame is clean is one of the first things that we will check. If your flame ever goes out, the whole system will not work so that is a very important step. If you need help and want us to come out and help you, give West-O-Plex Air Conditioning and Heating a call at 817-244-2511 and we can get your scheduled right away. A/C & Heating Services In Fort Worth, TX And Surrounding Areas, you can count on our professionals at West-O-Plex Air Conditioning and Heating to get the job done for you. We have trained and licensed technicians that work hard to make sure that your central heating and air conditioning are working the right way. 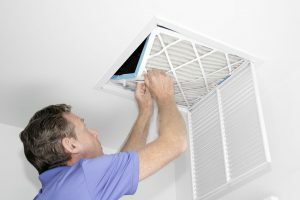 Sometimes the problem is an easy fix like changing the air filters or replacing the batteries in the thermostat, but other times it could be that you have a clogged duct or you need to replace a part. Either way, you don’t have to worry because when you call us at 817-244-2511, we will be able to send a technician out to your home to investigate. Once we find the problem, we can give you a quote and then as long as you approve it, we can start that same day. 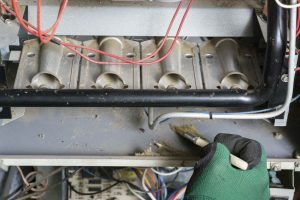 One way that you can prevent having to have a heating & air conditioning repair, is by doing regular maintenance on it. We have maintenance packages that will allow us to come out at a scheduled time, check and tune-up your HVAC system and make sure that it is all set for the summer and winter months ahead of you. Most of our calls come right in the middle of those times of year because the proper maintenance has not been done to get your system ready for the extreme hot or cold that is to follow. If you need a local heating and air conditioning company, let our team be your first call. When you need A/C & Heating Services In Fort Worth, TX And Surrounding Areas, call West-O-Plex Air Conditioning and Heating at 817-244-2511 and we will be able to help you right away. Updated on January 9, 2019 at 12:27 pm by West-o-plex.